Noddy is a TV show that my children love, my eldest used to watch it when she was younger and now my younger two children enjoy watching it on Channel 5's Milkshake in the morning. So when we were asked to try out the Noddy Toyland Detective app I knew this would be something they would enjoy. My little two are aged 2 and just turned 4, so they are the perfect age for playing with children's apps and I have started downloading a few on my phone to keep them occupied when we are eating out or on long car journeys. Noddy Toyland Detective game has been created by multi-award winners Kuato Studios and Dreamworks Animation for young children to enjoy. It has been designed with teachers, parents and children to develop a range of literacy skills and aptitudes. It has no advertising or in-app purchasing and you can even set time limits on how long your child can play, so I am more than happy to let my two young children play this game. 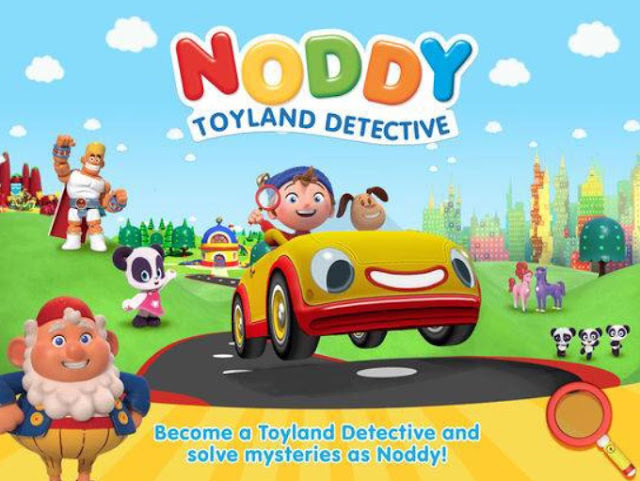 When playing the game children play as Noddy and explore Toyland in 3D, they get to meet much-loved characters from the show and join Noddy as he becomes a detective in an adventure filled with storytelling, learning and creative fun. Children get to create musical masterpieces, solve puzzles, paint and decorate Rev's car and solve mysteries with the 'Who-What-Where' book. Playing this game helps children memorising patterns and sequences and help with language skills, sentence structure and creativity through play. 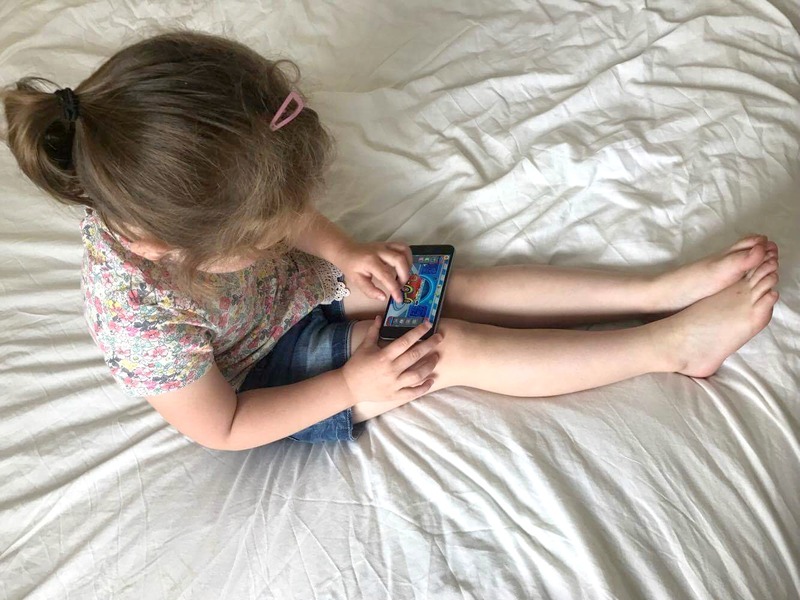 My four year old actually attends a speech school two full days a week as she has delayed speech, so the fact that this app helps children with building language skills through reading and storytelling really appealed to me. I also really liked the password restricted Growing ups corner where you can select to receive an email notification when your child has created a new case for you to read together. My four-year-old daughter loves this game, she instantly recognised it as being a Noddy game and she could not wait to start playing. She found it really easy to navigate her way around the game and was playing and having fun straight away. She loves decorating Rev's car and then driving Noddy around Toyland and she will happily sit playing the game and she will chatter away telling us about it. The app is available to download from the app store and from Google play priced at £2.99. 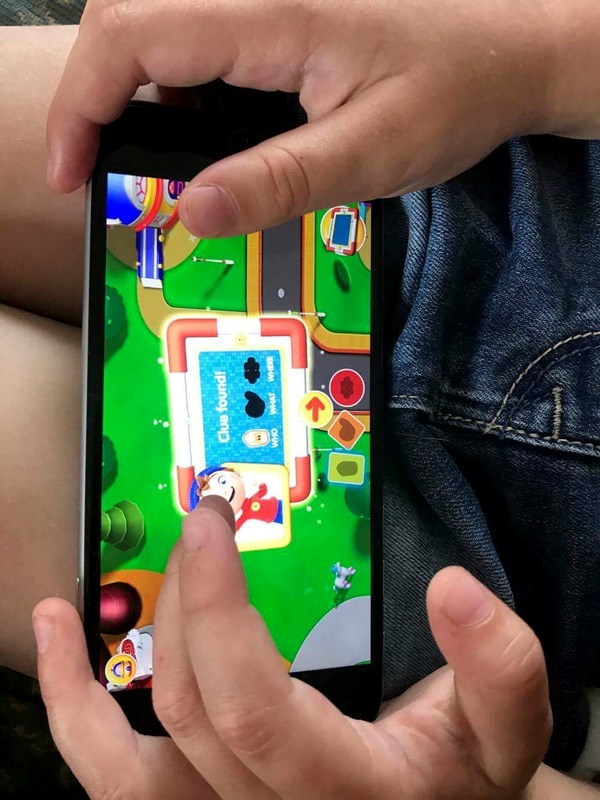 After seeing how much my children enjoy playing with this app I think that it worth it and that any Noddy fan will thoroughly enjoy playing this game just as much as my own children do.